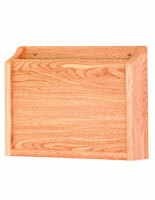 This wooden wall filing system for office has a simple design that makes a great way to store patient records. 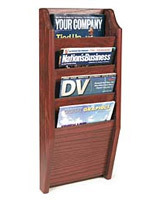 This slanted newsletter display keeps medical documents out of public view, while keeping them straight, crisp, and accessible. 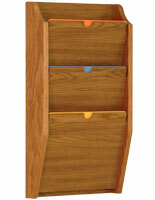 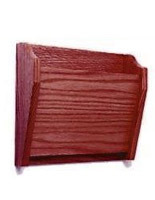 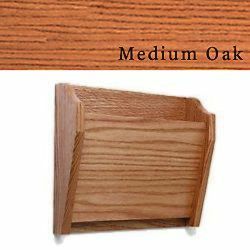 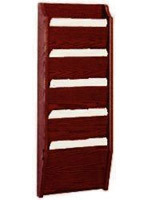 This wooden wall filing system, such as a privacy chart holder, is made of medium oak that provides a rich tone that enhances any décor. 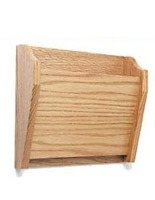 This slanted fixture can be mounted on a wall behind an administrator’s or secretary’s desk in a medical office or other retail venue. 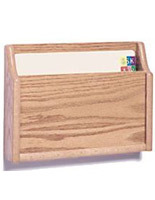 This wooden wall filing system that is a documents dispenser is a great alternative to those old, rickety metal displays, constructed of solid oak, with laminate front and back panels!